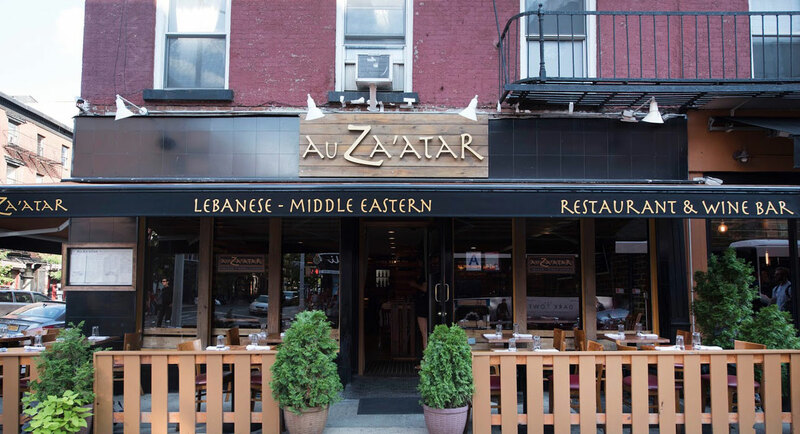 Au Za’atar is a Lebanese / Middle Eastern restaurant which has quickly become a destination in the East Village for New Yorker&apos;s and tourists alike, serving family recipes from Lebanon and other middle eastern countries. Drop in for mezze and a glass of Lebanese wine or beer and enjoy a romantic dinner or an intimate meal with friends and family. 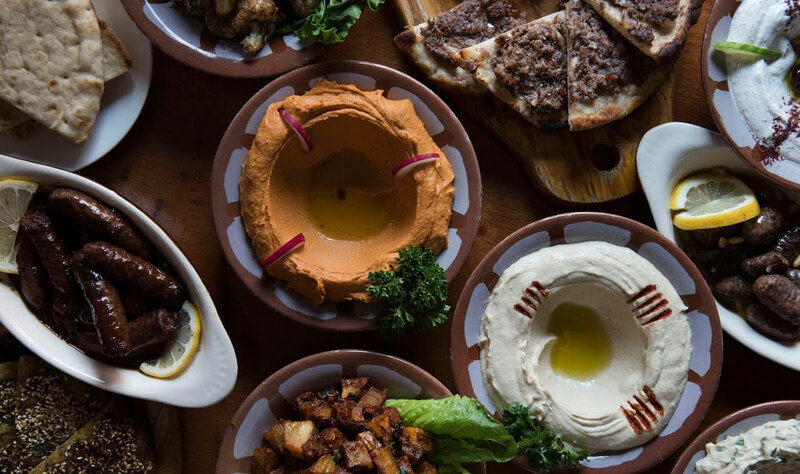 Our menu crafted by head Chef Tarik Fallous highlights the best of Lebanese and Middle Eastern cuisine with a focus on fresh, seasonal ingredients and homemade dishes. 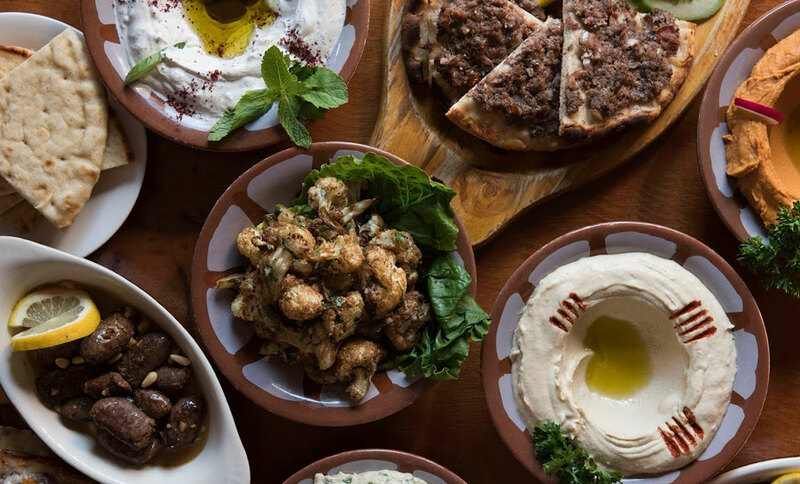 The warm, inviting dining room is perfect for grabbing a glass of wine and mezze at the bar or a full and flavorful meal at an intimate table while the spices and music transport you to the exotic Middle East. During the warm days of Spring and Summer, join us at our beautiful outdoor cafe, which has been called one of the best outdoor eating spaces in New York. Reservations are highly recommended. Walk-ins are welcomed and please expect a long wait at times. We do our best effort for all our guests to dine with us and experience our delicious food. We do not take advance orders for tableside shawarma. Our shawarma is cooked in small batches throughout the day for you to enjoy and can take anywhere from 25 to 90 minutes to be served at your table (in the event it is sold out and a new batch is being cooked) so please be patient while your shawarma is being properly prepared and cooked for your table. 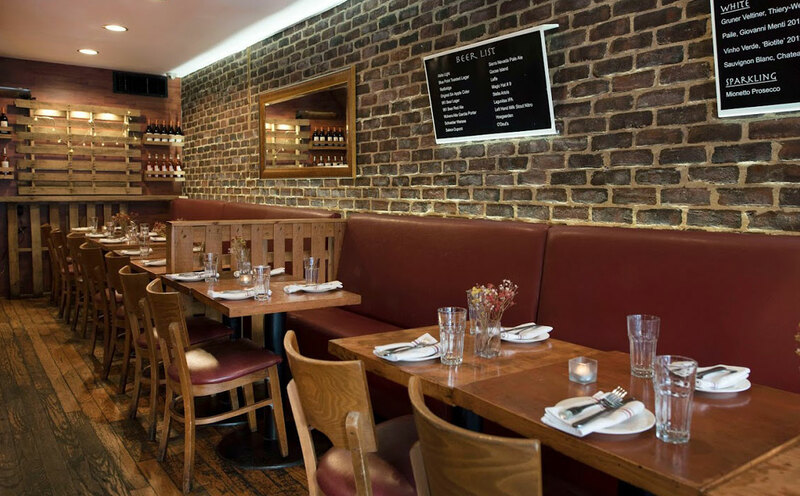 While waiting please enjoy our amazing variety of small plates to share, sip on our great selection of wine & beer and enjoy your time with your party. Our tableside shawarma Serves 3 to 4 people with a couple of small appetizers perhaps.